Topic: Bmobile Special Promotions - ? 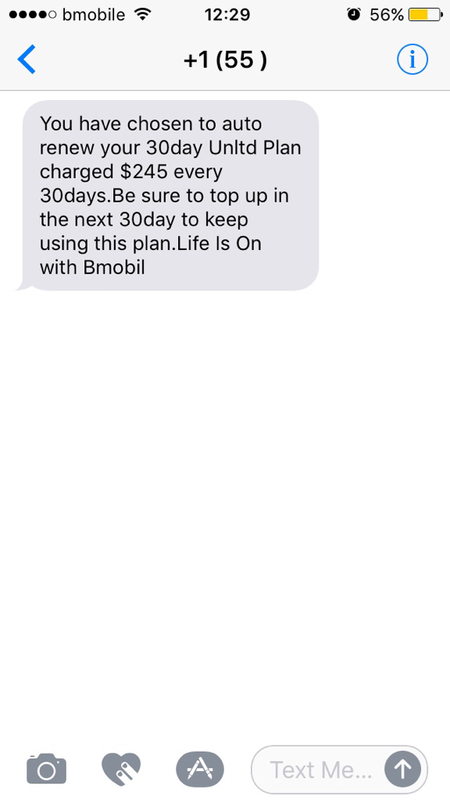 Re: Bmobile Special Promotions - ? RedVEVO wrote: Where Bmobile have unlimited for $349 ? Show us the link . matix wrote: Still have mines. $245 for unlimited. The option isn’t there though, it’s an auto renew set up. Bmobile Special Promotions - ? 10-01 wrote: ent dwnae hav a evo ? he selling ? Calls out Duane...where you at....help we out here. ent dwnae hav a evo ? he selling ? i wonder how muc d fam getting to keep it low ..... 6 or 7 or 8 figure cheq ? Wolla wrote: 8% on the draw game sales and 10% on scratch ticket sales. you sure its that high? if u sell the winning lotto ticket u get 8 % ? Topic: EK4 Steering Rack Q. Re: EK4 Steering Rack Q.